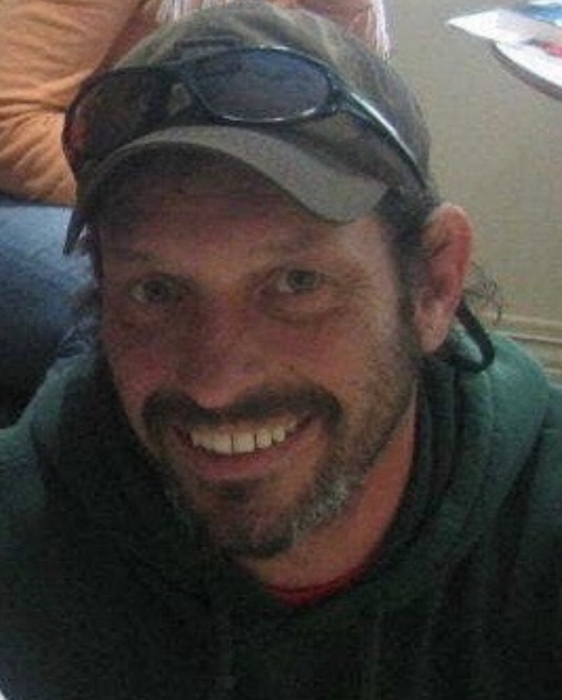 Steven D. Babcock, age 50, of Gordon, WI passed away on Wednesday, April 3, 2019 at his home. Steven “Stewy” Babcock was born March 10, 1969 in Clarksville, TN and was the son of David and Andrea (Hegg) Babcock. In his childhood, he moved with his family to Gordon, WI. Stewy graduated from Northwood High School in 1987 and the joined the U.S. Marines on December 7, 1987 where he served in Desert Storm. After his time in the Marine Corps, Stewy returned to Gordon, WI where he was a key factor in the rebuild of Forest Point Resort & Golf Course. In the past, during the winter months, he also worked for Haakenson Enterprises doing logging and brush clearing. Stewy was a very skilled carpenter who built several log homes, including his own, from foundation to shingle. He cut and peeled the logs from his own property. On February 7, 2009, Stewy was joined in marriage to Julia Ann McNamara in Gordon, WI. He was quick to make friends and eager to help them whenever he could. His smile was huge, warm and always genuine, with a contagious laugh. He was a quiet, sweet and kind man. Stewy was an avid sportsman and enjoyed hunting deer, pheasant hunting with his dog, Zeek in Iowa, and fishing for steelhead on the Brule River. He also loved watching the packers, and spending time with his grandchildren. His granddaughter (the apple of his eye) shared his love for fishing and the outdoors. She thought he was the best frog/toad catcher, ever!! They took lots of rides in the GTO. Steve is survived by his wife, Julia; daughter, Erin (Brody Coddington) McNamara of Hayward, WI; three grandchildren, Aubrey, Finnley and Adeline; mother, Andrea Babcock of Gordon, WI; brother, Mike (Heidi) Babcock of Minong, WI; sister, Melanie (Brad) LaFrenier of Mifflinville, PA; several nieces, nephews, aunts, uncles and cousins. He also leaves behind his black lab, Zeek. He was preceded in death by his father, David and his grandparents. A memorial service celebrating Steve’s life will be held at 2:00 p.m. at the Cabin Store in Barnes on Saturday, April 20th with Pastor Ben Kidder officiating. A time of gathering with family and friends will be held from 1:00 to 2:00 p.m. on April 20th at the Cabin Store. Military honors will be accorded by the Wisconsin Military Funeral Honors Program and the Barnes VFW. There will be a reception following the services for Steve at the Cabin Store.